Sierra Delta, Concorde 213 shares the Hall of Concordes at the Musée de l’Air et de l’Espace with Concorde 001 F-WTSS . During it’s service with Air France it entered the record books holding records for the fastest round the world flights in both directions . Each flight took around 32 hours, including six refueling stops ! 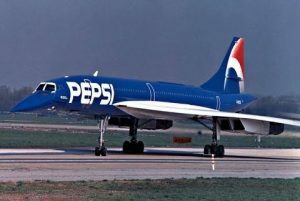 Sierra Delta also holds the dubious honour of being painted in a “Pepsi” Livery for 2 weeks during 1996 as part of a major rebranding exercise by the soft drinks company. 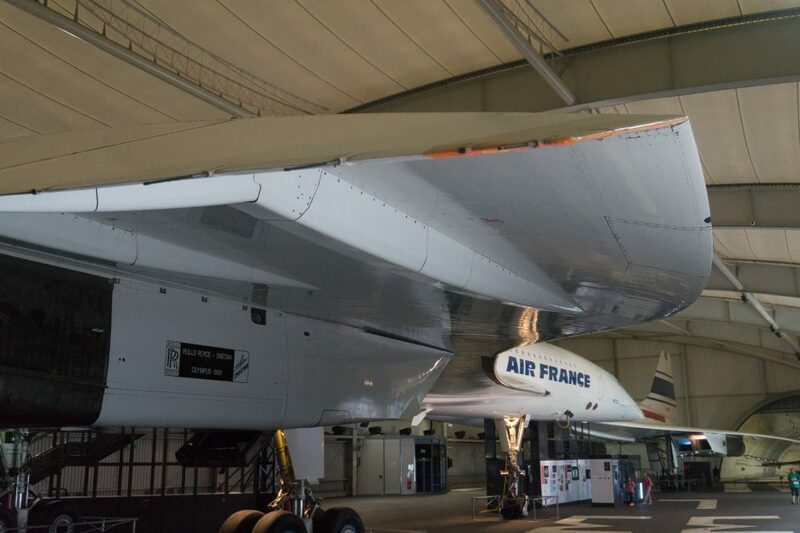 The aircraft would have to be painted blue to match the new Pepsi branding requiring much discussion between Air France and Aerospatiale as Concorde was only certified for a white livery. 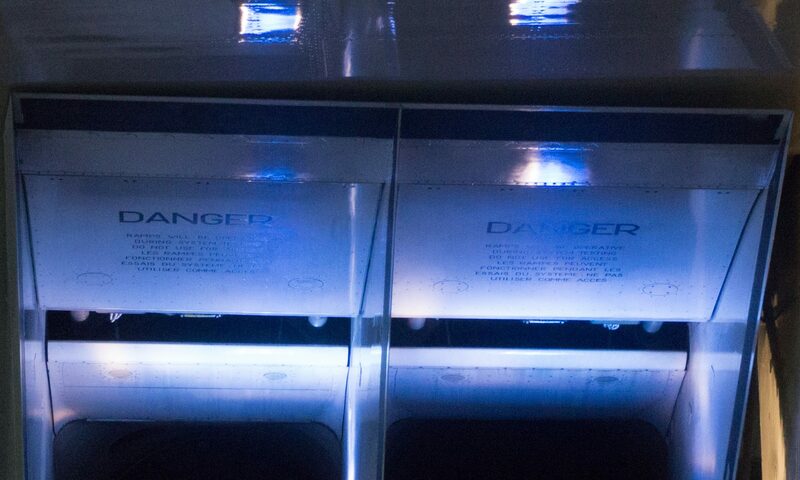 The “Blue Concorde” was unveiled at an event at Gatwick Airport in April 1996, in the presence of Claudia Schiffer, Andre Agassi, Cindy Crawford, and hundreds of invited journalists. For the next two weeks Sierra Delta undertook a promotional tour around Europe and the Middle East, before returning to it’s normal Air France livery. 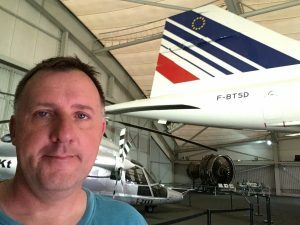 Sierra Delta undertook it’s last passenger flight in May 2003 and was transferred to Musée de l’Air in June. On display with it’s final Air France interior which seems rather clinical compared to the lovely Conran designed blue Connolly leather seats found on British Airways, it’s still a glamorous aircraft.